Ok wow!! 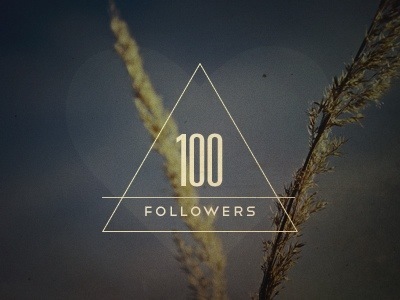 Just recieved a lovely little notification to say that I’ve hit the century and now have 100 followers!! I’ve got to say people, I’m very chuffed!! Thank you for all your support, comments, sharing and most importantly reading my posts. I’m thoroughly enjoying sharing my thought and reading others blogs. This entry was posted in Ramblings and tagged 100, followers, thank, whysamiam, Wordpress, you by whysamiam. Bookmark the permalink. Congrats! Been learning some new things from reading your blog.